In many countries conditions are different. And sometimes is really hard to understand them in your own language. We choose from many of the bank branches just two of them which we think they are the best options for you. We decided to mention them as a students and a customers but final decision to make an account or not is always up to you. This option is for those who want to receive a scholarship or just would like to withdrawal money from ATMs for free. This bank is providing the Czech bank account with a Mastercard debit card for free. You will get the account in CZK (Czech currency) for free and in the internet banking you can activate USD and EUR account also for free. Simply you can have 3 accounts every of them with different currency. They don´t have their own ATMs - This means you can withdrawal from any AMT in the Czech Republic for free. If would like to check your balance at the ATM it will charge you for a 9 CZK – Doing this in the application is for a free. Summarized you do not pay any fees. Czech phone number – For opening the account you have to buy Czech sim card with a Czech phone number, where is going to be sent an activation code. ID card – Take with you at least one of your ID cards. With two of them it can be easier. At the start of the semester people from Equabank are going to visit us into the campus of VŠB - TU Ostrava. If you hesitate we are going to be there to help you. Watch our Facebook for an Event. 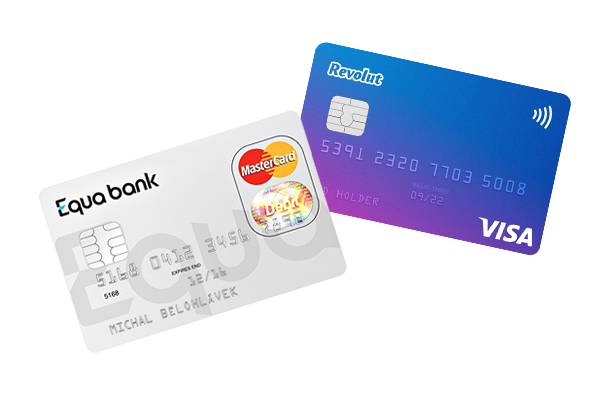 Revolut is a new branch of online banking. Basically this bank is not intended for withdrawals. If you are able operating only with “virtual money” and pay by your card anywhere, is it option right for you. Always at the interbank exchange almost all around the Europe. Revolut is the only banking alternative designed for your global lifestyle. Free withdrawal up to £200. You can not get scholarship with it. You can get this card at ESN Office during office hours for free anytime.